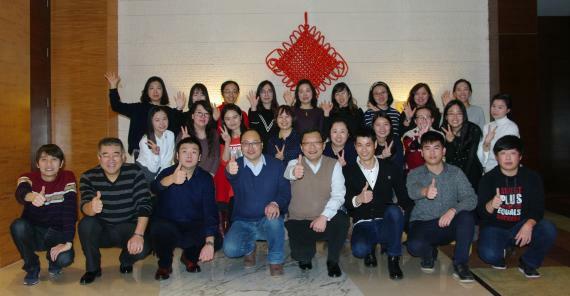 Jetwell Logistics in China were founded by a group of professionals in the freight forwarding and logistics industry and have been committed UFO members since 2006. Over the past 10 years, Jetwell have shown their dedication to our network, attending 9 UFO Annual Meetings, and have been a reliable and active agent to their fellow members providing high quality services. In 2014, Jetwell were winners of the UFO Asia & Pacific Regional Award and have maintained this excellent standard. Jetwell have recently held their 2016 Annual Company Meeting (pictured right). Held once a year, the meeting gives the Jetwell team the opportunity to review data and business from the previous year and enjoy each other's company. Their business with different agents were evaluated and Jetwell are pleased to note a total of 471 shipments were completed with UFO members during 2016, of which, an almost even split with 241 originating from Jetwell and 230 from fellow members.